Tonkatsu – a piece of crunchy deep-fried pork heaven – is an ubiquitous cafeteria staple in Japan. But, did you know that tonkatsu has European roots? Katsu is the Japanese pronunciation of ‘cutlets’ (pronounced ka-tsu-reh-toh in Japanese), whereas Ton means ‘pork’ in Japanese, thus tonkatsu, thus pork cutlets. As a very amateur cook, the Chica is pleased to explain that the underlying difference between the European’s pork cutlets and Japanese tonkatsu lies in that the Western pork cutlets being coated with bread crumbs then pan-fried with butter, whereas the Japanese Katsu is deep fried in vegetable oil rendering it crunchier while maintaining the juice and tenderness of the meat inside. 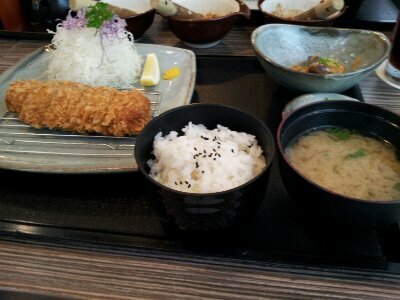 As you probably notice, there are also many restaurants specialising in tonkatsu around. 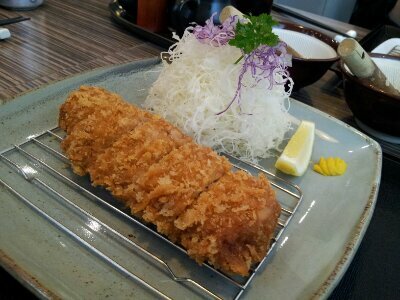 In Pavilion Mall, there is Tonkatsu by Wa Kitchen, located on Level 6. I should state that I am very apprehensive to anything deep-fried especially for calorie-sake and the type of oils used in the frying. Having been to China, I have heard too many horror stories about re-using dirty recycled oil. Nevertheless, I was prompted to try since there is not many eating establishments on Level 6 that I have not eaten, besides, I wanted to tick-off Tonkatsu by Wa Kitchen on my list. Following a quick welcome by the staff at the door, we were seated promptly. I am thrilled to see Japanese bankers (they were wearing their tags) having their lunch as their presence vouch the authenticity of this tonkatsu place. On the table was a tray of condiments – vinegar, dark soy and a bottle of sesame seeds. 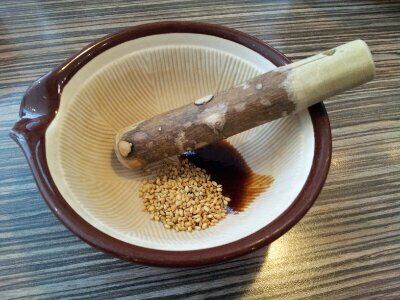 Seeing that a grinding bowl and wooden pestle is provided, I took it as a DIY exercise to grind my own sesame dressing. 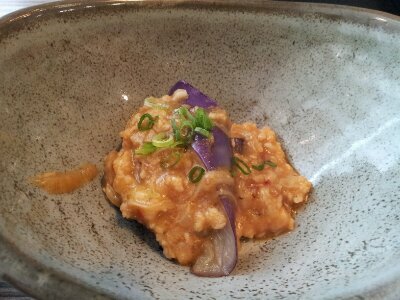 Should I point out that one should grind the dry sesame seeds before adding in the liquids? 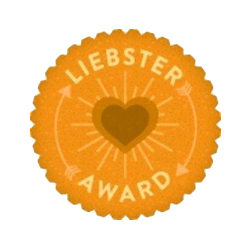 A major faux pas on my side, see the picture below. My tray of Katsu Soba arrived shortly after. On the tray was a small dish of Japanese chilli flakes for me to sprinkle on my soba and my crispy pork loin katsu resting on a rack (I am not sure whether other orders come with their katsu on the racks, but I had asked for my katsu to be separated from the noodles since I don’t like my katsu to be soggy). 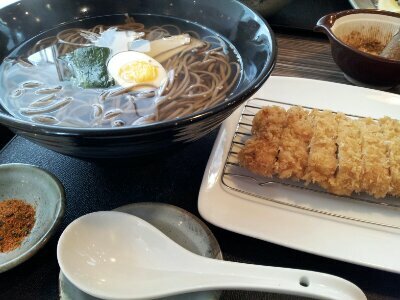 In my bowl of steaming soba are some seaweeds, bamboo shoots and half an egg. The soba was cooked to my liking – al dente, however, perhaps this is a Malaysian-thing, the soup was simply too sweet for me to drink. The accompanying katsu for the rice set is a piece of choice pork-cutlet with a different texture to my pork-loin being a different cut of meat. A hearty meal tucked in deserved a little rest before heading back to our erstwhile duties. While we would be happy to spend more time in the pleasant environment, time beckoned for us to leave and around RM35 lighter each (including drinks). 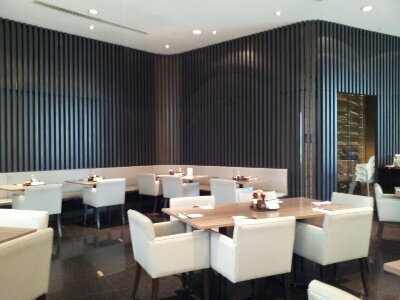 This entry was posted in Kuala Lumpur, Pavilion KL, Restaurant Review and tagged Malaysian-Japanese Dining, Pavilion KL, Recommended Restaurants in Pavilion KLCC, Tonkatsu, Tonkatsu by Wa Kitchen. Bookmark the permalink.